As a child I would carry around three different cassettes tapes with me everywhere I went. (You know…the primitive way of listening to music where songs were placed inside a plastic rectangle on a thin ribbon that would constantly get stuck inside and around any machine that would supposedly play your songs. You would then need to use your finger or a pencil to re-wind the tape hoping you wound it properly or at least didn’t rip the ribbon because then the tape was useless!) I carried a tape full of lullabies, Michael Jackson’s Thriller, and “Weird Al” Yankovic’s The Food Album, with classics like “I love Rocky Road” (a satire on “I Love Rock ‘n Roll” made famous by Joan Jett & the Blackhearts) because I did, I loved rocky road ice cream. I preferred Al’s “Eat It” to Michael’s “Beat It” any day of the week. 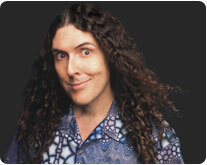 “Eat It” even earned Yankovic his first of three Grammy® Awards. Al’s live show is family-friendly with lots of surprises, costume changes, and all the antics you’d expect. I can’t wait to see him and sing along with all my favorite food inspired songs plus so many more! See you at the State Theatre on Thursday, May 19, 2011 at 8pm for a laugh-out-loud event that is sure to bring tears to your eyes! For tickets and more information please visit http://www.statetheatrenj.org/weird_al. We are happy to say that more than 3,700 people attended the State Theatre this past weekend. 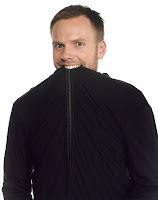 On Saturday, May 15 people filled the hall for comedian Joel McHale (star of NBC’s Community and E!’s The Soup) as he performed his live stand-up (complete with Ryan Seacrest and Kim Kardashian jokes, and a very funny Hugh Hefner impression). It was an awesome night and I have to say that I have not heard applause and cheers THAT loud from an audience in a while (in fact I am pretty sure the building shook). So, needless to say, we found out that people LOVE Joel McHale and with good reason. Which brings me to our Sunday May 16 matinee, an appearance by someone else who people love and adore, Carol Burnett. The comedian/a ctress took the stage for an intimate Q&A with the audience, appropriately entitled “Laughter & Reflection.” Carol, who is still quick on her feet, fielded every kind of question, from the obvious “did you enjoy working with Tim Conway” to the off-the-wall, “who knows where that came from” kind of question. But no matter what the question, Carol (see to the left with the State Theatre stage crew) answered them all with such sincerity that you couldn’t help but to feel just how special this experience was. It was a wonderful weekend with 2 amazing people that we won’t soon forget here at the State Theatre (And it’s probably the only time that their names will appear in the same story…). Imagine Shakespeare’s Macbeth performed in 75 minutes—by a single actor. Oh, and did I mention that all of the play’s characters are portrayed in the voices of over 50 characters from The Simpsons? Read more. Actor Charles Ross does it all…the characters, the action, special effects, and even parts of John Williams’ score. Read more. A self-proclaimed “Certified Lunatic and Master of the Impossible,” his inspired fusion of clowning, acrobatics, music, magic, and absurdity will astonish and delight people of all ages. Read more. A fictional exploration of true events, this is the story of a schoolhouse shooting in an Amish community, and the path of forgiveness and compassion forged in its wake. Read more. Every day patrons give us their feedback as to what types of artists we should book at the State Theatre. And leading the pack right now, more than ever, are comedians. Why is that, you ask? Well, it’s simple, times are crappy and people want to laugh (and believe me, so do us arts folks). Comedians help us to lighten up and forget, even for just an hour or so, the reality of our situations. So, with that said, you asked for comedy and we have answered. 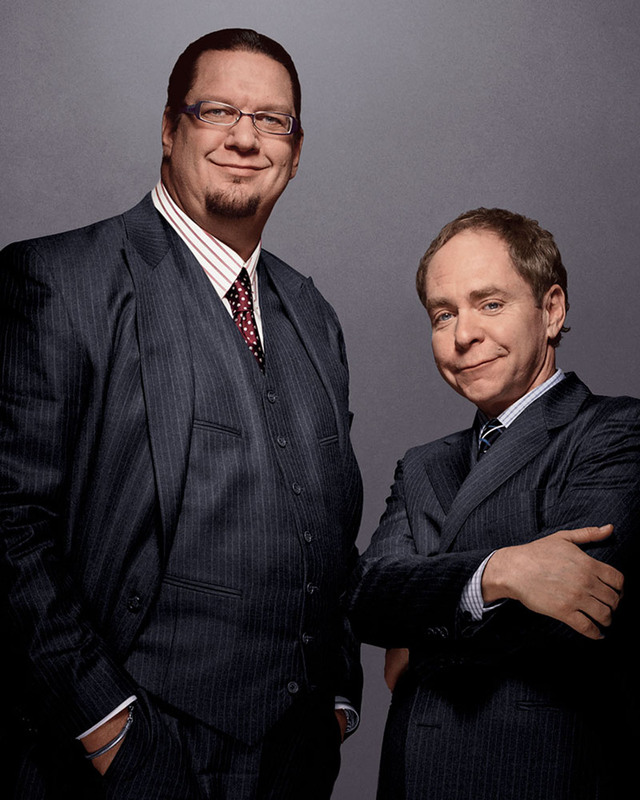 This fall, we have scheduled 3 comedians, all with their own brand of comedy: Lewis Black, Joy Behar, and Jim Gaffigan. The State Theatre is located at 15 Livingston Avenue in New Brunswick, NJ. For information or to purchase tickets call 732-246-SHOW(7469) or visit http://www.statetheatrenj.org/. Check us out on Twitter, Facebook, and Myspace.